A pair of stunning kitchens from the shop’s project gallery. The entrance sign to Troy Cabinetmakers in Troy, N.Y., reads “Established in 1979”, but the custom shop was well into its development several years prior. 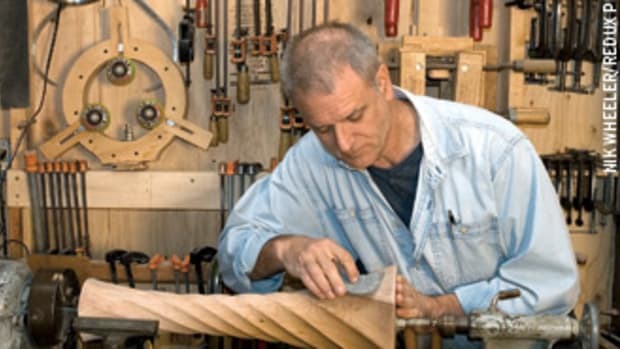 Owner John DeCurtis began refining his craft skills nearly five decades ago and has since made a mark for himself as a reliable business owner who has a strong rapport with his clients. 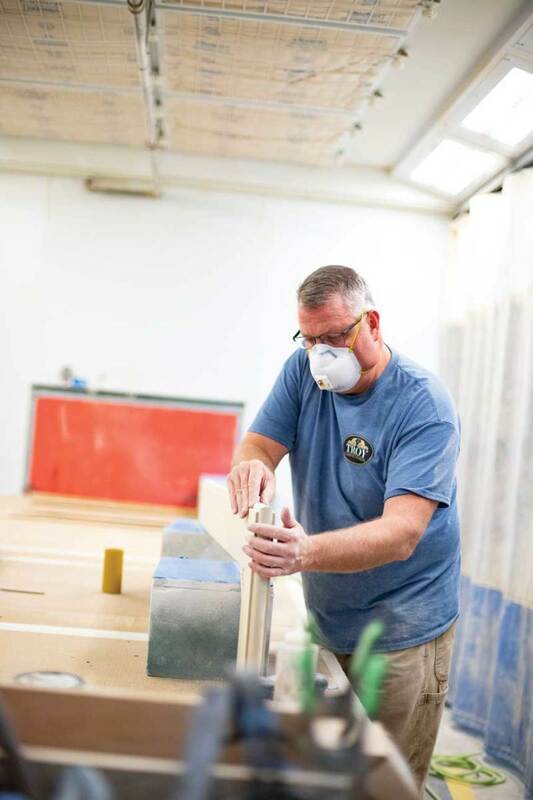 Now operating out of a 20,000-sq.-ft. facility, he oversees a team of 20. 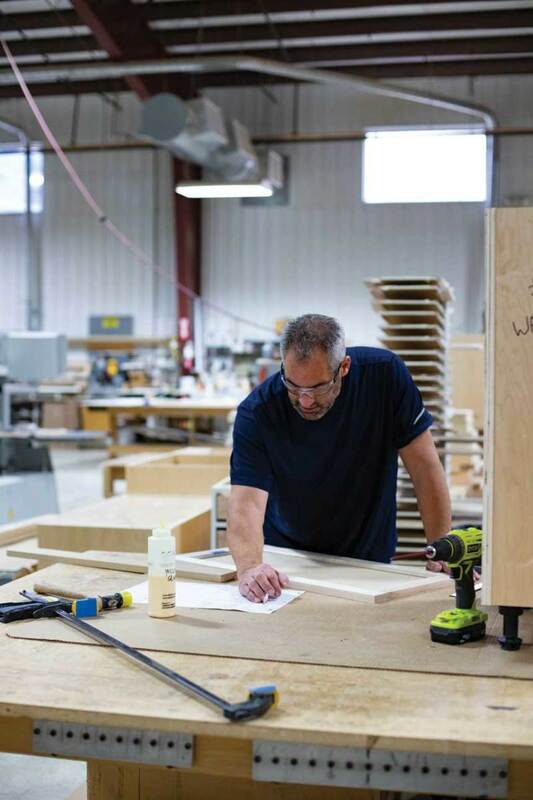 These craftspeople, finishers, installers, designers and office administrators are behind the fine cabinetry and furniture adorning homes throughout the tri-city area of Troy, Albany and Schenectady, as well as in big cities beyond the New York Capital District like Boston and Manhattan. 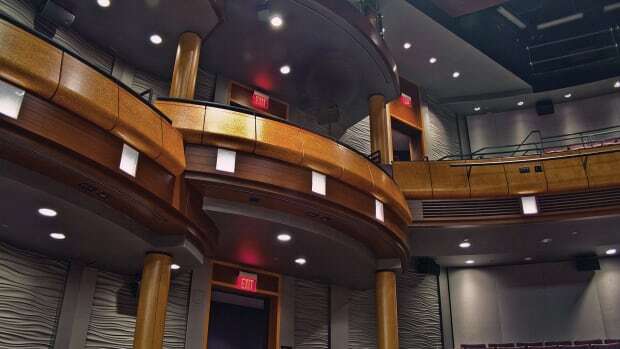 DeCurtis keeps active designing projects and meeting with clients. He helps them visualize the end result and encourages them to make informed decisions throughout the construction process. While growing up in Troy with a family of craft enthusiasts, DeCurtis learned to appreciate custom work as a child. 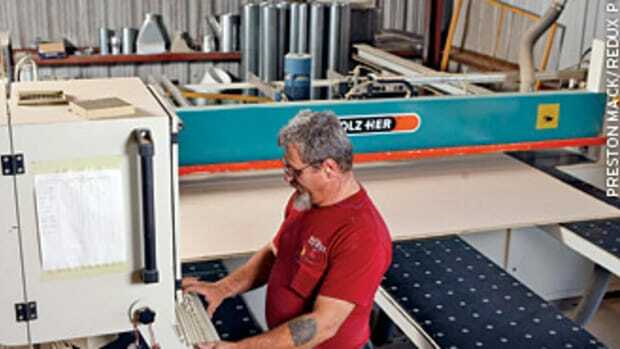 “My uncle was a cabinetmaker, my other uncle was machinist, my father was a tailor, so I grew up watching all of that and was the kind of kid that took everything apart,” he says. Drawn to the earthly scent of freshly cut wood as a teen, he was inclined to pursue woodworking as a profession. 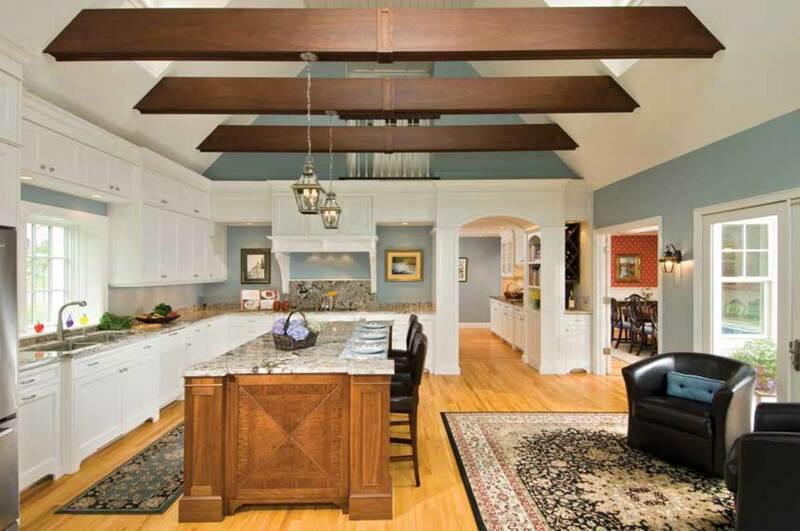 His mentor uncle, Marco Cacciotti, had founded a shop in Troy in the ’40s that focused on remodeling and homebuilding. DeCurtis followed suit in 1974, opening a shop after graduating high school. DeCurtis started the business with partner and assumed sole ownership five years in working out of a rented 10,000-sq.-ft. shop in Troy. 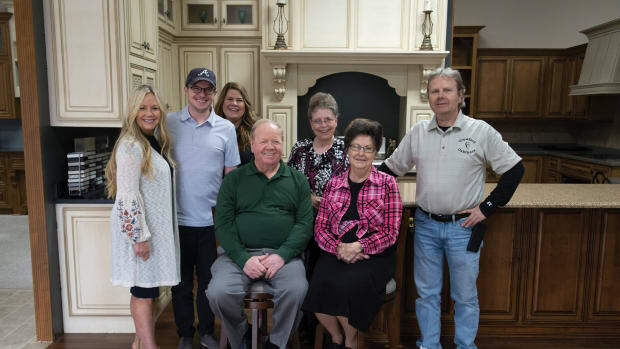 By the early ’80s, DeCurtis and his small crew had emerged as a well-respected source for kitchen cabinets, vanities, stairs, railings, moldings, entrance doors for homes throughout Troy and its surrounding towns. 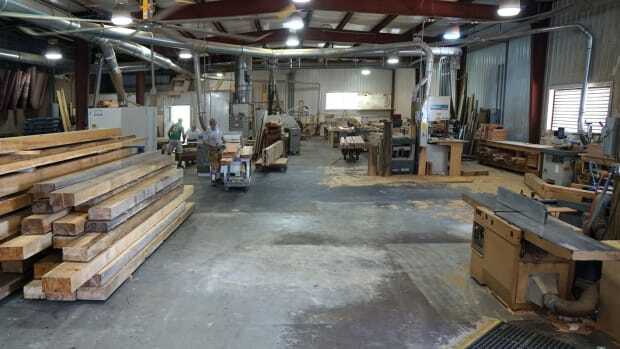 He eventually purchased a 7,000-sq.-ft. shop in the south end of Troy where the company operated for another 25 years, then bought and relocated to his current facility in 2004. 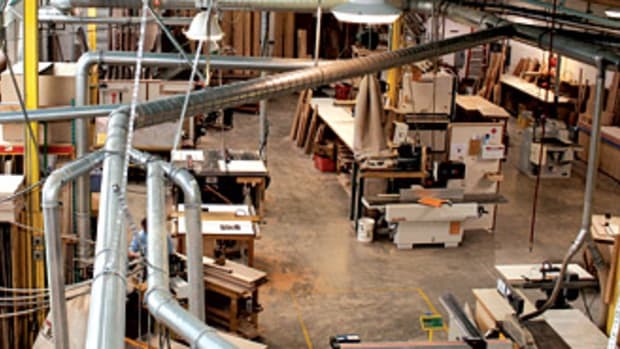 The shop strives to serve a diverse clientele with varying budgets in any style or configuration. About half of the work is for medium to large homes of mid-high market values and commissioned directly through homeowners. Projects range from a simple vanity to a full kitchen or house. 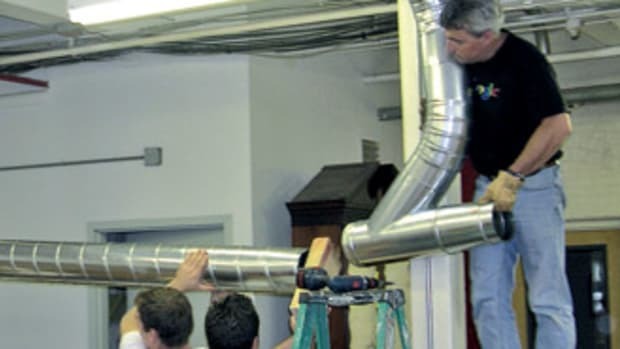 Remaining work goes into elaborate, sometimes over-the-top, projects in multi-million-dollar homes contracted through builders. Perhaps a good problem to have, DeCurtis is working on softening what he feels is a perceived ‘high-end stigma’ to attract more potential customers. “My name has a certain quality attached to it. We are very high-end. Sometimes it scares people and they say ‘oh, a John DeCurtis, I can’t afford John DeCurtis cabinets’ and it hurts us. But then some people seek us out for that because we can do the difficult projects and the higher-end projects. 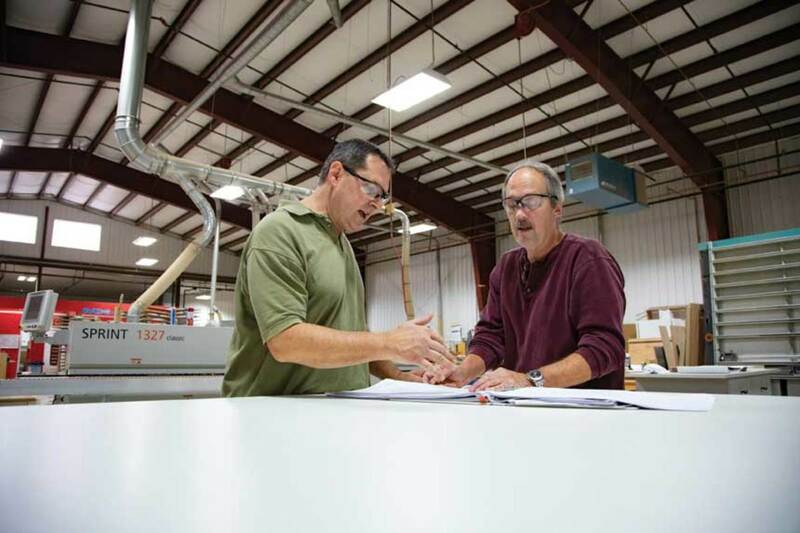 No matter what their budget, clients are always impressed with the manufacturing process and many visit the facility prior to and during production. 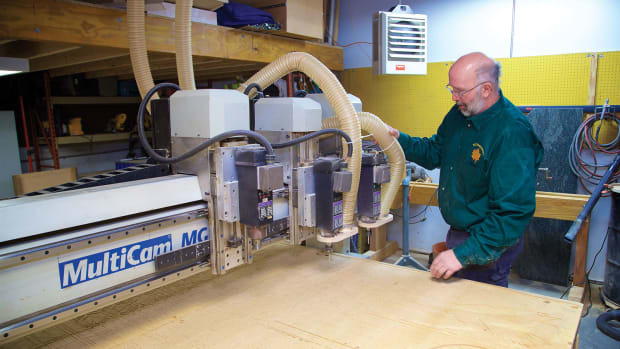 The shop is equipped with a host of Italian and German machinery, including CNC machinery and state-of-the art finishing units that skilled craftsmen integrate with their traditional handcrafting methods of fabrication. Simple, traditional styles are preferred. 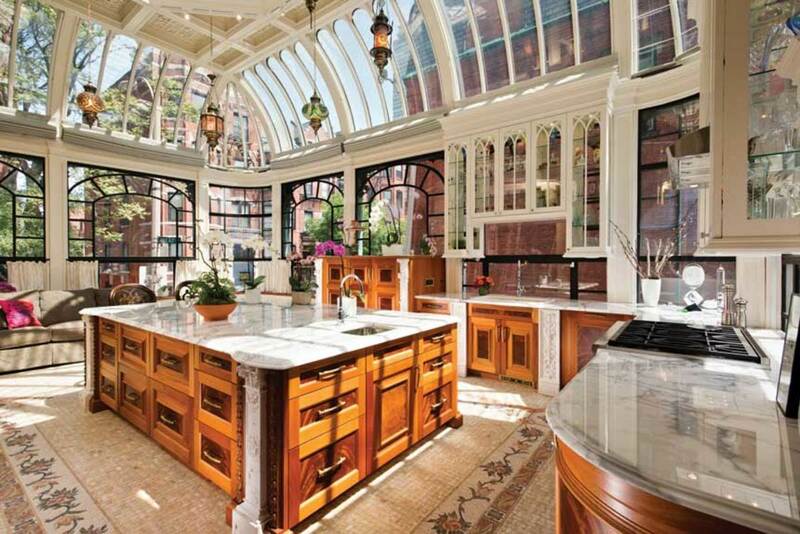 DeCurtis say about 80 percent of his kitchen cabinetry is painted rather than stained. Customers do have an interest in rustic looks, especially combination looks introduced by designers. The company felt the economic downturn in 2010, which keeps its leader thinking ahead. “We didn’t have layoffs but work was harder to get and slowed up. To find the work we’d find a lead and pursue it fast and hard, and maybe had to drop our prices a bit to get the work. Along with continuing higher-end work and looking to sell more affordable products, he is considering selling products online. This would greatly reduce prices for the budget-conscious and help save time estimating. “I’d like to find a product we can make and sell in a catalog or online. Right now, everything we do is all custom and takes a lot of time. I want to use the custom work we’ve done as a springboard for a line to offer.